Have a regular prayer structure in mind. Good dreams. As adults, we rarely remember our dreams. But kids are always having elaborate dreams and they remember them when they wake up, which might happen in the middle of the night. I always ask God to give them good dreams, not bad dreams, and protect them from nightmares and evil thoughts. Good health. I am so grateful that God has given me two healthy children, and I thank Him for that every single day. I also pray for my kids’ ongoing health every night before bed, but the wording and specifics are always different. Sometimes I ask God to continue developing their mind and body as they grow. During sick seasons (start of school, in the winter, or if I notice lots of colds going around) I pray that they do not get sick. Other times I ask God to make my kids strong as they grow. Good health is something I ask God for every night on behalf of my kids. Safety. Kids play hard and live on the edge. On any given day, my kids could hurt themselves playing, get into an accident, jump into a pool that is too deep, hit their head, or cut themselves. Every day I see news reports of children getting molested or abducted. As protective fathers and mothers, we are all aware that our kids live in a dangerous world and could get hurt very badly at any time. Every day I pray for my kids’ safety – that he would watch over them and look out for them. Their future. I want my kids to make good choices. I want them to choose their friends wisely. I want them to gather positive mentors and role models around them. I want them to marry a great spouse. I want them to succeed by growing spiritually, mentally, socially, and physically. Most importantly, I want them to one day understand the gospel and make the personal decision to follow Jesus Christ. 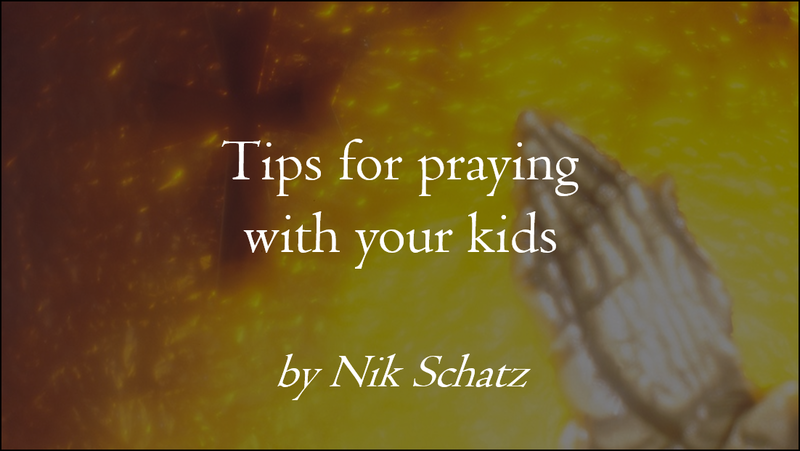 Not only do I pray for these things for my kids privately, but I tell God these things while my kids are listening. Mom and Dad, show your kids how important their future is by asking God to bless their future every day when you pray with them.